Children sometimes cannot distinguish between what they need and what they want. Shelter, food and clothing are needs. Eating out, cable TV, cell phones, computers, and video games are wants. Wants can be worked towards but not an entitlement. Don’t lose the previous 10 months worth of gains. 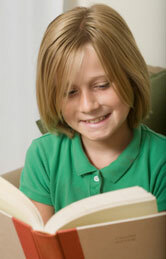 Y3K Tutor In Your Home summer tutoring is the answer. Do you think your student receives too much homework? Do you complain that they get too little homework? Tomorrow we will look the history of homework in America.